You may be surprised to learn that your food choices can have a significant impact on your mood. It’s key to eat foods that support your neurotransmitters, which are the brain’s messengers that control your mood, energy levels, appetite and several other functions in the body. Neurotransmitters are significantly influenced by the foods you put into your body. Omega-3 foods: Research shows that one of the most important components of your diet in order to prevent or treat mood disorders is omega-3 foods. Your brain lipids are actually composed of fatty acids. Of those those fatty acids, 33 percent belong to the omega-3 family. That means that you need to eat omega-3s in order for your brain to function properly. Omega-3s benefit the brain by promoting communication processes and reducing inflammation. (7) The best omega-3 foods include wild-caught fish like salmon, mackerel, herring and white fish, walnuts, chia seeds, flaxseeds, natto and egg yolks. Fruits and Vegetables: A diet high in fruits and vegetables increases your intake of vital nutrients that support your mood. Fruits and veggies high in folate, for example, promote the brain’s metabolic processes and research shows that a folate deficiency can lead to depressive symptoms. (8) Some of the top folate foodsinclude spinach, asparagus, avocado, beets and broccoli. Your body also needs antioxidant foods to combat the biochemical changes that take place when you’re under stress. A study published in the Indian Journal of Psychiatry found that antioxidant therapy for 6 weeks significantly reduced both depression and anxiety scores in observed patients. (9) Some of the top antioxidant foods include blueberries, goji berries, blackberries, cranberries and artichokes. Healthy fats: Healthy fats provide important vitamins and minerals that boost energy levels and mood. Plus, eating healthy fats helps to prevent free radical damage that may be associated with depression. But it’s important to understand that not all fats are created equal. In fact, research shows that there’s a detrimental relationship between consuming trans fats (like hydrogenated oils) and depression risk. (10) Stick to eating healthy fats such as avocados, grass-fed butter, coconut oil, extra virgin olive oil and omega-3s like walnuts and flaxseeds. Lean Protein: Eating protein is critical for supporting neurological function and balancing hormones. Protein foods also provide energy and boost our mood. We need to consume plenty of protein throughout the day because the amino acids allow for many of the body’s functions. When you don’t eat enough protein, you become fatigued, your immunity weakens and you experience moodiness. The best sources of protein include grass-fed beef, lentils, wild fish, organic chicken, black beans, yogurt, free-range eggs, raw cheese and bone broth protein powder. Probiotic Foods: Eating probiotic foods increases energy levels, supports cognitive function and promotes mental wellness. Some of the top probiotic foods include kefir, yogurt, kombucha, miso, raw cheese and fermented vegetables. In fact, a great way to consume probiotics is to drink kombucha every day because it also contains enzymes and B vitamins that boost your energy levels and helps to detoxify your body. An investigation conducted at Baylor College of Medicine in Texas found that sugar consumption rates were correlated with the annual rate of major depression. (12) And a systematic review published by the American Public Health Association found that there is a significant relationship between unhealthy dietary patterns (such as eating a “Western diet” that’s made up of mostly processed foods) and poorer mental health in children and adolescents. (13) Diets that are high in refined sugars are actually harmful to your brain because they promote inflammation and oxidative stress. To reduce depressive symptoms by supporting the health of your brain and balancing your hormones, avoid eating packaged and processed foods that are made with refined carbohydrates and sugars. Stick to real, whole foods that are in their natural forms. Omega-3 fats are critical for neurotransmitter function, an important component for emotional and physiological brain balance. Research published in CNS Neuroscience Therapeutics analyzed three studies that involved the treatment of depression with omega-3 fatty acids. One study compared the benefits of omega-3 therapy to placebo therapy, another study tested the effects of omega-3s on children with depression and the third study was an open-label trial using EPA to treat bipolar depression. Researchers found that omega-3s showed highly significant effects. For example, in the open-label study involving people with bipolar depression, patients who completed at least one month of follow-up achieved a 50 percent or greater reduction of depression symptoms. (14) Fish oil supplements are a great way to ensure you are getting enough omega-3 fats. Vitamin D acts like a hormone in the body and effects brain function, which is why a deficiency is linked to an increased risk for mood disorders, including depression andseasonal affective disorder (or “winter depression”), a form of depression that comes and goes in a seasonal pattern. Adaptogen herbs are a class of healing plants that improves stress hormones and relax the nervous system. They help to balance and protect the body by reducing cortisol levels when your under any type of stress. Vitamin B12 supports the neurological system and boosts energy levels, and folate supports nutrient absorption, helps to reduce irritability and fights fatigue. Taking a B-complex vitamin will help to produce serotonin naturally and relieve depressant symptoms, without the need for medications or toxic sugary foods. Although researchers aren’t exactly sure how St. John’s wort works to fight depression, it’s believed that it may be associated with the herb’s ability to make more serotonin, dopamine and norepinephrine available in the brain. This is important because these three neurotransmitters help to boost mood and improve the symptoms of depression. Also, if you choose to use St. John’s wort as a natural remedy for depression, do it only under the guidance of your health care provider. To use lavender oil as a natural remedy for depression, add 5–10 drops to warm bath water, diffuse 5–10 drops in your bedroom at night to promote sleep, and apply 2–3 drops topically to the temples, chest and wrists in the morning. To use Roman chamomile as one of your natural remedies for depression, inhale the vapors directly from the bottle a few times a day, apply 2–3 drops topically to your wrists and back of neck, or diffuse 5–7 drops at home or at your workplace. Because depression is most commonly caused by emotional issues, it can become worse due to lack of positive relationships, low self confidence and lack of purpose. Find a strong community of friends that can support and encourage you, and focus on your spirituality and relationship with God. It’s also helpful to seek counseling with a professional so that you can manage stress and strategize about your treatment methods and goals. A 2013 study conducted at the University of Michigan found that the “quality of social relationships is a major risk factor for major depression.” Risk of depression was greatest among those with poor overall relationship quality, a lack of social support and social strains. Researchers found that these relationship statuses more than doubled the risk of depression. 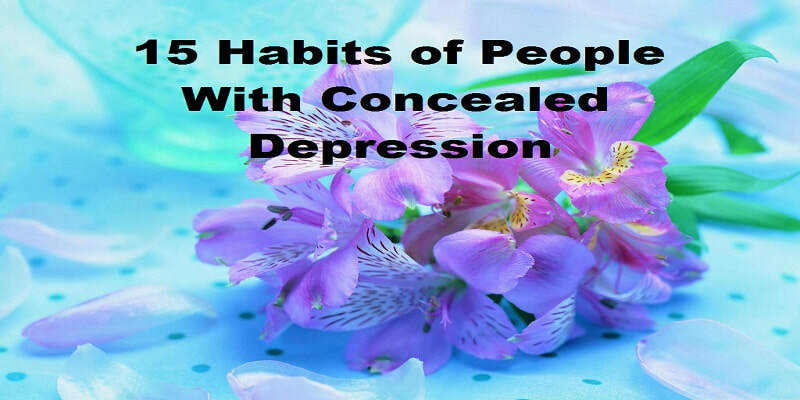 (23) It seems that personal relationships may be one of the most important natural remedies for depression. Aim to exercise three to five days a week for 20 minutes or more. You can try any type of exercise that you like, such as yoga, pilates, running, barre, burst training and calisthenics. Even taking a walk outside will boost your happy hormones and energy levels. Of the natural remedies for depression, this is one that offers some of the most variety of options to choose from. Research shows that improving your vitamin D levels can help to reduce the symptoms of depression. In fact, the relationship between depression and vitamin D deficiency from a lack of sun exposure was first noted over two thousand years ago, according to researchers at the University of South Australia. (25) Aim for spending 10–20 minutes in the sun daily. If you are suffering from depression and want to use these natural remedies for depression to improve your symptoms, do it under the care and guidance of your health care provider or counselor. Don’t be afraid to ask for support, as it’s so important to get help when you need it. But, if you notice any adverse reactions to these natural treatments for depression, or your symptoms become worse, discontinue the use of that remedy and see your health care provider. Also, it may take three to four weeks to see improvements with some of these natural remedies for depression. Depression is one of the main causes of disability in developed, as well as low and medium income countries, with around 150 million people suffering from depression worldwide. But, antidepressant medications come with a slew of side effects and people don’t know where to turn to find a treatment that won’t bring on more health problems. However, luckily there are natural remedies for depression like dietary changes, using essential oils for depression, supplementing with vitamin D3 and B vitamins, and making lifestyle changes. Seeking counseling and community support has also proven to be beneficial for people who are suffering from depressive symptoms. ​Tags: ​can depression be cured, depression treatment, how to beat depression, how to deal with depression, how to fight depression, how to get over depression, how to overcome depression, natural antidepressants, natural remedies for depression, treatment for depression.